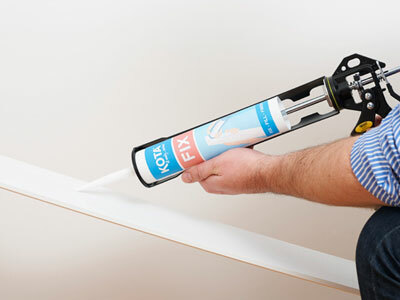 Fix your KOTA™ profile into place using KOTA™ FIX - a high bond adhesive specifically designed for KOTA™ profiles. 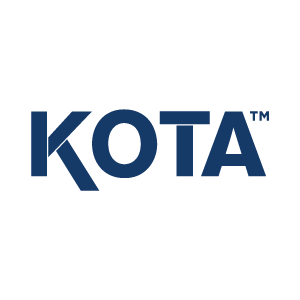 KOTA™ can also be fixed using loss head nails. Use colour-matched KOTA™ FILL to fill any gaps between KOTA™ profiles and any uneven wall surfaces. KOTA™ FILL dries white and remains colour-fast. Use KOTA™ FINISH, a soft wax filler, to fill any nail or pin holes left following installation. KOTA™ FINISH can also be used to touch up any scuffs or marks.